Together with its partners, Cordaid creates effective and durable solutions that reduce fragility and the vulnerability of people in conflict-affected settings. To achieve this, knowledge sharing and learning is a constant priority for all our professionals. This allows us to operate successfully in some of the world’s most isolated and challenging places. And to constantly improve the adaptability, relevance and sustainability of our interventions and our services, as well as those of our partners. Cordaid offers three kinds of services to any stakeholder who shares our mission: thematic expertise, program & grant management and investment management. Technical assistance: technical assistance can be provided tailor-made. It includes assistance on capacity building, program design and implementation, stakeholder analysis, quality control, evaluation and advocacy. Action research: to solve an immediate problem or as a more (joint) reflective process to improve strategies, practices and knowledge. Cordaid can conduct research directly and/or support partners in carrying out research. Knowledge sharing & thought leadership: knowledge, documents and tools developed by Cordaid experts are shared online. We provide inputs and keynote speakers at global and local conferences. Program implementation: Cordaid develops, implements, monitors and evaluates programs in more than 20 countries in Africa and Asia. We mobilize our own staff and work in close cooperation with local stakeholders such as local governments, NGO’s, community-based organizations, microfinance institutions, SME’s and healthcare facilities. Grant management: Cordaid is an experienced manager of funds from institutional donors in favor of local organizations and institutes, by means of re-granting and loans. Capacity building: Cordaid increases the capacity of local civil society organizations. This enables them to perform more effectively and strengthen their voices in policy and decision-making processes. 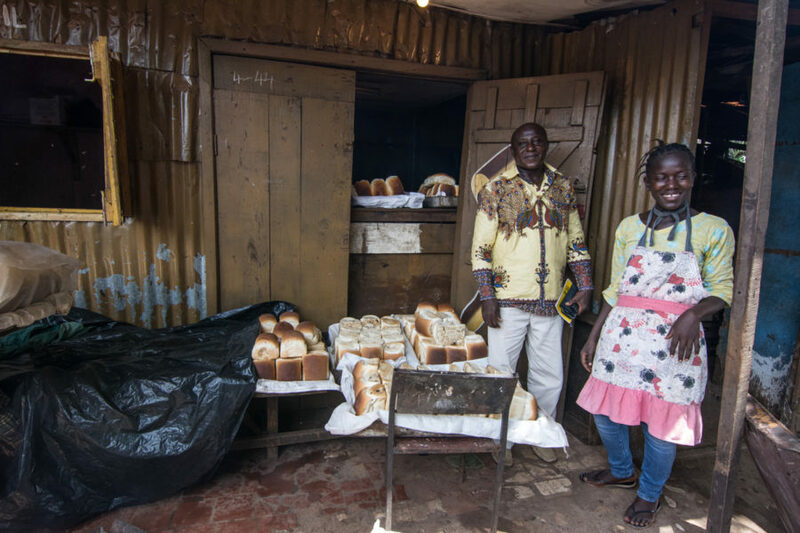 Cordaid supports access to inclusive finance for micro-entrepreneurs and Small and Medium Enterprises, and job creation (with a special focus on women and youth). Furthermore, through its dedicated branch Cordaid Investment Management B.V. (CIMBV), Cordaid offers loans, guarantees and patient capital to financial institutions and businesses that have limited other options.